It is time for the development industry and the City of Cape Town to discuss seriously the structure of any future Requests for Proposals (RFP), and how procurement processes can be improved to drive development in the city. This was the message emphasised by the Western Cape Property Development Forum on Thursday. The forum was reacting to the City of Cape Town's announcement that it was cancelling its proposal requests for the Foreshore Freeway Precinct. "The real question is, can the private sector take future Cape Town calls for proposals seriously?" Deon van Zyl, chair of the forum, asked in a statement. 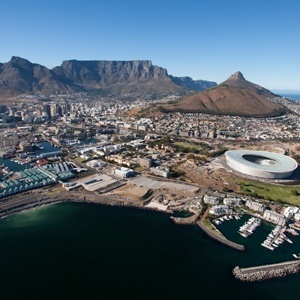 In 2016, the City of Cape Town announced it was accepting proposals for the development of the Foreshore precinct in the Cape Town CBD. Central to this project was the question whether the city's famous uncompleted freeway bridges should be finished or not, and if the private sector could help solve the City’s traffic gridlock crisis and affordable housing shortfall. Van Zyl explained that submission and adjudication was a two-phase process. Phase one assessed the development concept, and the second phase would have assessed in detail financial feasibility, guarantees and contractual matters. The process never reached phase two. Six proposals were presented to the City, which were all exhibited for public viewing and comment. Van Zyl said all of the proposals entailed multi-billion rand investment into Cape Town. "Anyone who visited the exhibition of the six projects that were put on display at the Civic Centre in the CBD, would have appreciated the time and effort that was invested by the various bidders to conceptualise, research and present their ideas," said Van Zyl. "The combined value of the proposals submitted represented tens of millions of rands, based on professional time and production costs. The process was hailed as a partnership between City and the private sector, and the new way of procuring solutions to difficult challenges." Each of the consortiums behind the six projects were given an opportunity of presenting their proposals to an expert panel, and each proposal was interrogated in detail. "The process was deemed to be so important for the City that it engaged the services of independent auditors to monitor and track the process," said Van Zyl. "With an eye on the value of the proposed projects, one would expect a high level of scrutiny. "One would also expect a level of second guessing and questioning of each other’s bids between bidders. The stakes were, understandably, high." He said none of the bidders could foresee that "the wheels would come off on the side of the City" - the body that initiated the call for RFPs in the first place. In notifying bidders of the cancellation of the project, the City has declared, in Van Zyl's view, that its own RFP document lacked sufficient clarity "rendering the evaluation criteria vague". "To put it into different words, the City’s own RFP document now seems to have failed the City’s own procurement requirements," said Van Zyl. The WCPDF never promotes specific developments, he added. Its mandate is to promote and lobby for fair and transparent processes and decision-making that will impact the development industry. "We are not interested in who wins the bid. "We are interested in bids being awarded, in investment being made and that development takes place," said Van Zyl. "We were also interested to see an effective public-private partnership be established that would, among other things, deliver much-needed affordable accommodation into the Central City. "This will now not take place in the case of the Foreshore Freeway Development, unless of course the City decides to go out on a proposal call again." Accordingly, the WCPDF wants to know what process the City followed to ensure that the RFP fulfilled its own procurement requirements, prior to calling on the private sector to incur the cost of preparing proposals to the City. It also wants to know what processes the City put in place during the assessment process that would ensure the City’s ability to award the project to a successful bidder? And who in the City will be held accountable for this failure, and costs incurred by both the City and the private sector? "What message is this process sending to local and international investors? Is Cape Town open for business?" asked Van Zyl. "Whether one agrees with any of the six development proposals or not, was this RFP process one that the City of Cape Town can be proud of, or just another very expensive lesson in how not to treat potential investors and the private sector?" The Cape Chamber of Commerce and Industry also added its voice to concerns about the impact of the City's decision to cancel its RFP for the development of the Foreshore Freeway Precinct. Lungelo Mbandazayo, the City Manager, said in a statement on Wednesday that procurement processes must be compliant with the rule of law. "Furthermore, the economic outlook for the country has become significantly weaker since the issuing of the RFP two years ago. This change, together with the additional burdens that the City, its ratepayers, and residents are currently facing, cannot be ignored," Mbandazayo said in a statement on Wednesday. Mbandazayo said the City was reconsidering the future of this project and would communicate further once a decision had been made.